Akikazu Fujishima is an ex-security guard struggling with schizophrenia who receives a phone call from his estranged wife asking if he has seen their teenage daughter, Kanako. With his daughter missing, Akikazu sets out to find her by any means necessary, although it’s what he finds out about her that can be more damaging. The World Of Kanako is an astounding piece of storytelling with strong characters, who could have been lost by a lesser filmmaker given the film’s frenetic and non-linear set up. 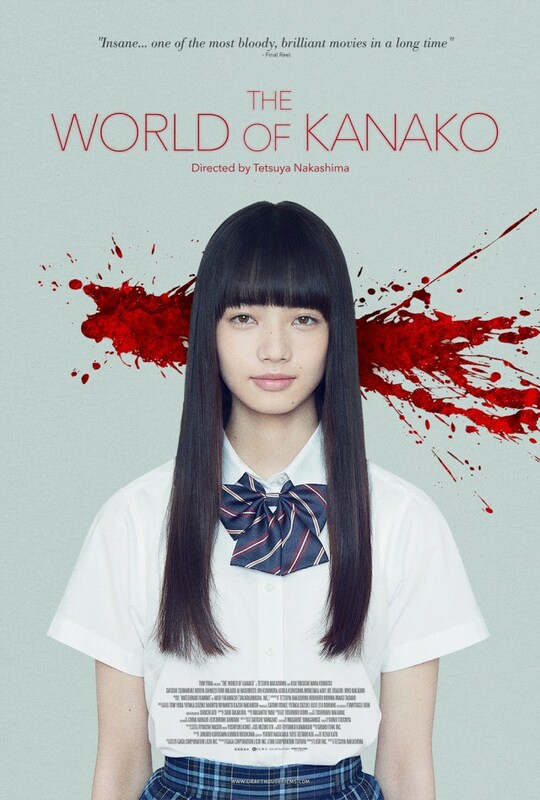 Frankly, The World Of Kanako is a movie that manages to be disturbing, tense, emotional, and hilarious all within moments of each other without losing any of the momentum it has built along the way. There are many impressive performances in the movie but Kôji Yakusho as Akikazu Fujishima stands out as someone who could really become more than a cult star in the next couple of years. Attentive fans of Asian Cult films may have already recognized Yakusho from numerous Kiyoshi Kurosawa films such as The Cure, Charisma, and Pulse, along with Takashi Miike’s 13 Assassins. The cinematography and over all visual style of The World Of Kanako looks amazing and works beautifully to convey the varying tones of the film and helps the viewer differentiate between the multiple timelines or side stories. The soundtrack also helps to set The World Of Kanako apart from the great many Asian revenge thrillers, as it is mostly interpretations of western music and hearing a Dean Martin song during a particularly violent scene really stands out. Worth mentioning is the film’s use of an amazing version of House Of The Rising Sun (Traditional), apparently performed by Mai Yamane that almost steals the show and can also be heard in the movies trailer. Drafthouse Films will be unleashing The World Of Kanako to theaters and VOD on December 4th and I recommend that you check it out. If you like a good revenge thriller with some over the top violence and excessive bloodshed, then The World Of Kanako is the film for you.